I'm a bit late to the party on this one but here is the August POPSUGAR Must Have Box. This is the 1 year anniversary box for Must Have and I have to say I'm not very impressed with it, this could very well be my least favorite Must Have Box to date. This box has a sort of a back to school theme which is very appropriate for the month of August but some of the items this month were lacking in quality and that is where my disappointment lies with this. This is the Must Have Anniversary "gift" and I do like this piece, it's very dainty and lightweight. 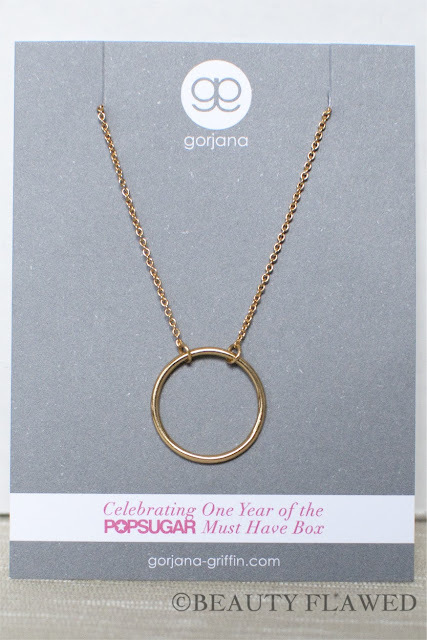 It has a shorter chain on it and I think it will go well with my other Gorjana & Griffin pieces. This is a pretty cool little invention, it comes with two compartments and utensils. The bottom has a divider so there are two spots for different types of food while the top has no divider. It is dishwasher, freezer, and microwave safe however you can only put it in the microwave for up to 3 mins. I do not recommend putting any type of plastic in the microwave but that is info for another post. It's also important to note that this is not leak-proof. The gray band does keep it together tightly but it would for sure leak if you put any liquids in it. While I like this I'm not sure how useful this will be for me. This smells really really good! I'm not real sure I will be able to use this though because it has a coconut ingredient in it, I will either trade this or end up testing a small spot on my skin to see if I have a reaction. Sigh being sensitive to coconut is the worst because they are putting it in everything now a days. This is really cute and one item I will for sure get some use out of. I think I will use it to help plan out blog posts and what not. This bowl is cute however the quality of this bowl is highly disappointing. The only place on the Lunares website that I could find this bowl was in a $149.00 seven piece set. Simply breaking it down each piece would be around $20.00, I would not pay that much for this bowl or any of it's coordinating pieces because the quality is laughable. The bowl I received has flaws in the paint, dents in the silver, and scratches around the back that are noticeable in person. I would have been satisfied with this item but because of it's flaws it is my second to least favorite item in this box. These are interesting the precleanse is used to melt away makeup and impurities making the special cleansing gel more effective. The special cleansing gel is soap free claims to remove impurities without upsetting the skins natural moisture balance. I'm looking forward to giving these a try. Naturebox is another subscription box company that offers healthy snacks each month. I'm all for healthy foods but these apple are gross. The texture is chewy and tough and they have a strange woody smell mixed with the natural apple scent. I would rather just eat a non dehydrated apple this is my least favorite product in this box. The MSRP total of this box is $151.73 and I think that the box is a good value but this is one of my least favorite boxes that I have received from POPSUGAR Must Have. The quality of the items I feel just isn't there. I would also like to see silver jewelry the next time they send out some, to date all the jewelry items that they have sent out have been gold toned of some kind. 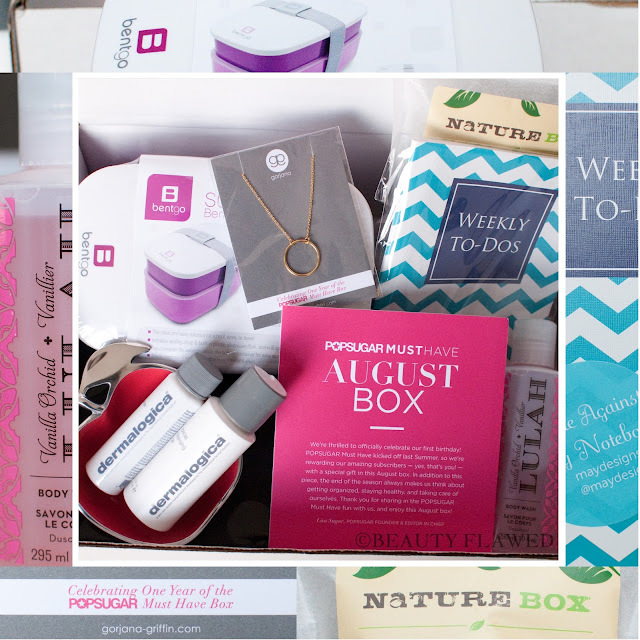 I will still stick with POPSUGAR because they are my favorite subscription box as of late but I hope that they are more selective for the next box. What do you think of this months Must Have Box? Thanks Liz! Yes I mean the bentgo is nice because it comes w/ the utensils but the leak proof is what bothers me as well. I don't know if they have daiso in TX but that is where my BF's Mom gets her bento box type things I'm not sure if they are leak proof either though, might be worth looking into. I completely understand because leak-proof is definitely a top feature that I want too! I've never heard of daiso but I will definitely look them up online, thanks hun! Right now I'm using a combination of blistex and chapstick + some prescription cream at night. I think I'm going to try aquaphor next but I'll look at soft lips too I forgot about them thanks for suggesting them. They would be better than the chapstick I think. Oh yes! Aquaphor is a great product to use! I get multiple uses out of it (my lips for me and any skin issues for my son!). You could definitely benefit from Aquaphor since you're using a combination of multiple items for your lips. Hopefully, the problem will lessen over time and go away for you hun! 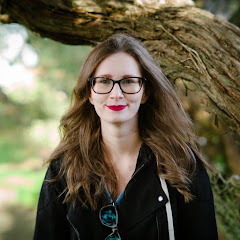 I had no idea about the PopSugar beauty box. Guess I'm WAYYYY late. Oh those stackable lunch boxes are so cute. I found them last year but before that I had no idea either. They usually put out some pretty good boxes. I like Gorjana necklace, so I would enjoy that piece, but I do see what you are saying over all. Frustrating! I wore the necklace yesterday and really liked it very lightweight and just simple and pretty, glad I kept it! I can most definitely see why this box was so disappointing, and I would be equally as disappointed, if not more so. The Gorjana & Griffin necklace is beautiful, but I would have no use for it. I don't wear yellow gold or anything that look like it under any circumstances whatsoever, but if there was a silver one I'd be all over that. And why would a stackable lunchbox ever be made that wasn't leak-proof? What is wrong with people? I checked out this post at a great time because I just got done taking off my makeup and am currently experiencing stiff face. Ah, sensitive skin. 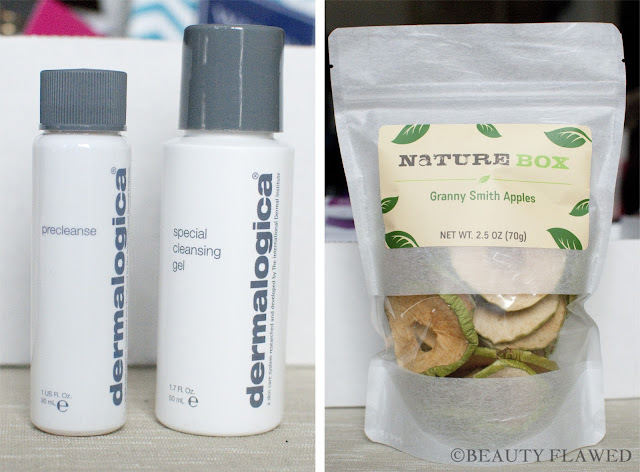 I am very interested in knowing what you think abut the Dermalogica products!